If your dog is usually excited and energetic but is acting lazy and not wanting to get out of bed, it can be a sign that something isn’t right. A lethargic dog does not want to eat, drink, go for a walk, or even get out of their bed. It is important for dog owners to pay attention to their pet’s behavior and keep an eye on anything out of the ordinary. Dogs and cats can not always vocalize their problems, so it is our job to try to figure out what is going on. This new behavior typically lasts for more than one or two days. Lethargy is usually one of the symptoms of a disease, condition, or sickness. So if your dog is lethargic, you should pay attention and see if there are any other symptoms or better yet, take a trip to the vet. It is normal for your four-legged friend to get tired after a lot of exercise or stimuli like house guests. Older dogs especially will need a day or two to recover from excitement or stress, but lethargy can be a signal that something else is going on under the surface. Lethargy is a vague term. So learn more about the different signs of lethargy and what they can indicate is wrong with your pet. What Does Lethargic Mean? A Look at the Lethargic Definition! Tried and Tested Supplements That Will Keep Your Dog Healthy, Full of Energy, and Happy! Vets Preferred Supplements Have Got Your Tired Dog Covered! Will Honest Paws CBD Oil Help with Dog Depression in Sad Dogs? Is Your Dog Tired? Do You Have Lazy Dog Breeds or Low Energy Dog Breeds? What’s the Difference? Dog Acting Weird? Lethargic Dog Signs to Look Out For! When to Take Your Lethargic Dog to the Vet! Is My Dog Depressed? How to Know if You Have a Lethargic or a Depressed Dog! How many hours should an adult dog sleep per day? Do some dog breeds need more sleep than others? Lethargy means having a lack of energy and enthusiasm. Pet owners may notice their dog won’t eat or greet them by the door as usual. A dog’s life is relatively predictable, they enjoy having a schedule and routine. A loss of appetite is abnormal for dogs, and eating is usually one of their favorite activities. They may put their nose up occasionally to their dog food, but if they say no to healthy people food like cooked chicken or their favorite treat, there is a problem. Lethargy is when a dog’s behavior changes and they seem to be weak and have low energy. Most pet parents will agree, that preventing illness is far better than curing our doggos when they’re ill. From dogs to people: A healthy immune system is key! We can make sure our doggos stay healthy by keeping them fit or by feeding them healthy food. Additionally, we can give them that extra feel-good boost with supplements. Vets Preferred products are veterinary grade products designed with the sole purpose of keeping doggos healthy from their tails to their teeth! For tired doggos, you might want to consider supplementing your dog’s diet with Salmon Oil. Vets Preferred Wild Alaskan Salmon Oil is made from only non-farmed, freshly-caught fish from the pristine Alaskan waters. Their proprietary process creates the most pure, refined product possible (99.5%). Do understand your vet knows what’s best; however, salmon oil for dogs has proven to be affective for pups all of all ages from tired ole’ granddogs to young and grumpy puppers! With lethargy in dogs, salmon oil can help your doggo keep healthy. Absolutely! Look, it’s not going to cure your dog if they have a serious underlying or undiagnosed condition. It sure does improve their overall health though, and therefore, their joy for life. It also greatly reduces pain and inflammation, and then, of course, there is that immune system boost. CBD oil for dogs is a great way to ease stress, anxiety, and keep your dog content. As a supplement and rather not medication, it’s natural and 100% safe to use. Some dogs are just lazy or naturally have low energy. Dogs that are older or overweight will typically have less energy than a younger pup that wants to play all of the time. The difference between a lazy or low-energy dog and a lethargic dog is a sudden change in behavior or any change in your dog’s overall health like an upset stomach. Lethargy in dogs is typically a quick change, in comparison to a dog that slowly becomes lazier as it ages. Some dog breeds like French Bulldogs, Pugs, and Basset Hounds will have naturally lower energy levels than dogs like Dachshunds, Siberian Huskies, or Jack Russel Terriers. Lethargy doesn’t happen over years, it happens over days. The change is noticeable and abrupt. A lethargic dog will seem less “happy,” not showing normal interest in their favorite activities and toys. Adult dogs sleep for 12 to 14 hours per day (out of 24 hours). Puppies need more sleep than adults and can easily sleep for 18 to 20 hours per day. Lethargy is excessive sleeping. These symptoms should last for more than a day. Traumatic and stressful events cause lethargy in dogs. Dogs can feel “sad” due to changes in the environment and the people in it. Sleeping significantly more than usual: If the new sleeping habits occur for more than a day or two, it may be more than feeling extra tired. Loss of appetite: -Dogs typically love to eat. They can get picky and not want to eat their dog food, but most dogs will not say no to their favorite treats or a dog-friendly human food like plainly cooked salmon, chicken breast, or raw egg. Not drinking water: Dehydration can be dangerous for dogs, especially small ones or an already sick dog that is vomiting or has diarrhea. Unresponsive to commands: Lethargic dogs stop greeting their owners at the door and do not want to come for treats, or act out of character. Disinterest in toys and other activities: Test your dog and see if they want to play with their favorite toy or go for a walk. Confusion: A lethargic dog will seem more out of it. A dog will often respond more slowly to different stimuli like noises or smells. 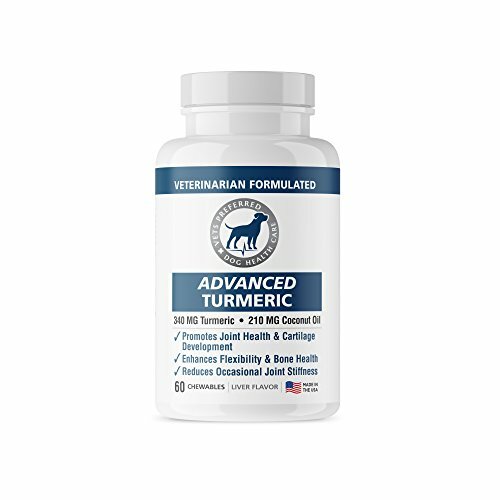 If your dog looks lethargic and you suspect it has something to do with their golden oldie joints giving them pain, why not try easing their joint pain with some turmeric for dogs or Advanced Joint Support. Hemorrhagic Gastroenteritis (HGE): A disease that causes inflammation of the gastrointestinal tract in dogs that causes vomiting and bloody diarrhea. It can be fatal if not treated. Medications like Vetoryl capsules: Certain drugs can cause lethargy in dogs. Heart Disease: When a dog’s heart is not able to power the body enough it causes lethargy and can progress into congestive heart failure. Liver Disease: The liver is an incredibly essential organ in the body, and when it is not functioning correctly due to disease or other conditions, lethargy and other health problems occur. Bloat: Overeating or exercising after too much food can cause a dog’s stomach to enlarge and twist around, creating many different emergency conditions. Lyme disease: Infected ticks can transmit this disease to dogs that cause inflammation of the joints and can lead to kidney disease. Kidney Disease: Kidney failure is more common in older dogs is caused by a variety of environmental and health factors. Infectious Tracheobronchitis (Kennel Cough): This sickness is passed from dog to dog and causes an infection of the trachea and bronchial tubes. Kennel Cough is found in places with high concentrations of dogs like kennels, daycare, boarding facilities, and dog parks. There is a vaccine to help prevent this infectious respiratory disease. Pain: Dogs do not always express pain by yelping or limping. Dogs that are in pain may not want to leave their bed. They are often unwilling to come when called and don’t eat or drink or eat as usual. Older dogs may feel chronic pain in their joints or back and seem lethargic. Lethargy can be a secondary symptom of a simple upset stomach, or it could be a sign of a life-threatening illness. A sick dog is often tired as their body fights off the sickness and a trip to the vet is always needed. If the lethargy occurs with rapid weight loss, bloody diarrhea, or if it lasts more than a day or two, the veterinarian should examine the dogs and make sure there are no problems. Puppies can be more affected by illnesses and symptoms. A pup not wanting to eat or drink, or suffering from vomiting and diarrhea, needs a check-up by the veterinarian! A smaller dog’s body can become dehydrated more quickly than that of a large dog. If your dog is acting lethargic, try to rule our any non-health related causes. A sad or stressed dog may suffer from lethargy. Have you moved recently or has a family member moved out? Life changes can affect dogs similarly to people, and they can show symptoms of depression. The lethargy could be purely emotional and not health-related. Your pup could be just feeling down. Even a simple change in weather can put your pup in a funk. Has it been raining too much to go for walks? If your dog seems lethargic try to think about any changes that have occurred over the past few days. See if you can discover the possible trigger for the lethargy! Whether you decide to go with a CBD Oil for dogs, CBD-Infused Coconut Oil, or CBD Dog Treats, just know that these products have been tried and tested, and not left puppers or their parents wanting! Exercise: Daily exercise is great for your dog’s body and can help prevent diseases like obesity, diabetes, and heart disease that can cause lethargy. Dogs that are overweight or old may need to start slowly with exercise. Some dog breeds naturally need more sleep and have less energy and require less activity to be tired. A young Siberian Husky may need a long run with a weighted vest to tire them out. An older pug, on the other hand, may only need a short walk around the block to be exhausted. Healthy food: High-quality dog food can help prevent different diseases and health issues that can cause lethargy. Dogs should maintain a healthy weight to put less stress on the joints, heart, and to have normal levels of energy. Affection and activity to prevent depression: Dogs are pack animals and need social activity to be happy. Dogs that are isolated from other animals or pets, and do not receive enough affection can become depressed and lethargic. Create a Safe Zone: Stress can cause lethargy in dogs. Storms, fireworks, houseguests, etc., are stressful for certain dogs. You can provide your dog with a “safe space” for them to retreat to and feel more protected. Dogs like spaces that resemble a den, it makes them feel safer. A crate with an open door, a partially enclosed bed or even a space in the closet or under the bed creates a safe space for a dog to retreat to.